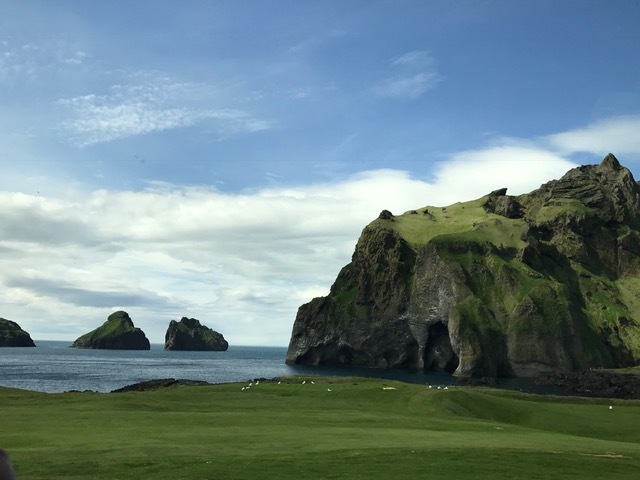 The day trip we took to the Westman Islands was probably among my favorite places to see during the trip. We had read the journals of Ólafur Egilsson and the abductions that occurred on the islands, so it was fascinating to see them in person. 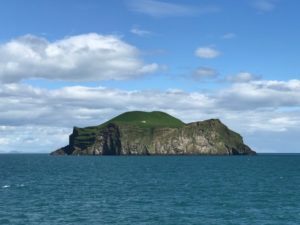 I think one thing that became apparent from our visit to the islands is that there really was nowhere for the people to hide from the pirates, as there are no trees and the islands are small. This vulnerability really put in perspective how the pirates were so successful at taking prisoners. On a personal level though I was amazed by the beauty of the islands, as they mostly are made up of sheer cliffs and vibrant green grass, creating a unique contrast. 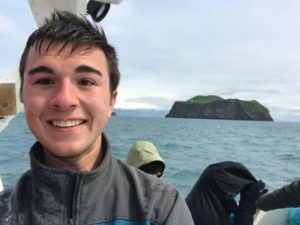 We did a boat ride, however as I remained above I ended up getting fairly soaked by a large wave, which while entertaining in retrospect was a little cold at the time. 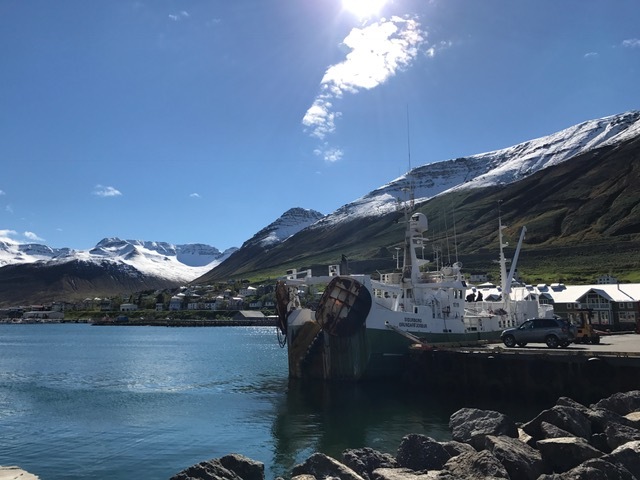 Siglufjörður was one of my personal favorite places that we visited, as we had the opportunity to both read Snowblind, which is set there, in addition to meeting an S&T Alumni. To enter the town we had to go through a tunnel several kilometers long, but once you are through it is stunning. 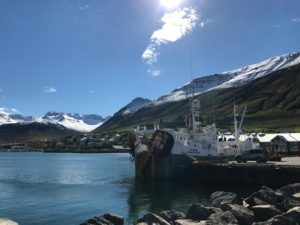 The town rests on the west side of the fjord, which is surrounded by snow covered peaks. The town itself was small but very quaint, with the mayor Gunnar Birgisson being a very charismatic figure. As he was the alumni that we met up with in addition to being mayor, he gave us a tour of the town. We were informed about the communities economical issues, their current businesses, and the nature of living in such a remote location. Following the presentation and tour Gunnar took us to a local restaurant to appreciate the scenery. Iceland has a large host of excellent museums. Normally I am not a huge fan of museums, but in Iceland, I found every single museum that I visited quite interesting. The first, and likely my favorite, museum I would like to talk about is the National Museum of Iceland. 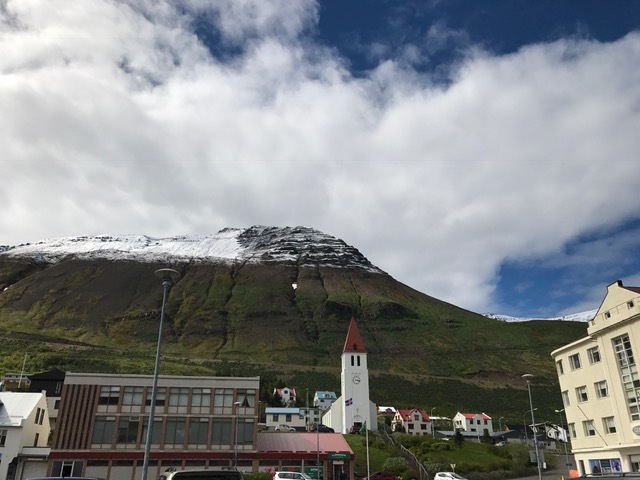 This museum goes through the entire history of Iceland, from the early settlement period in 800 AD to modern times, with wonderful artifacts for each 200 year period. 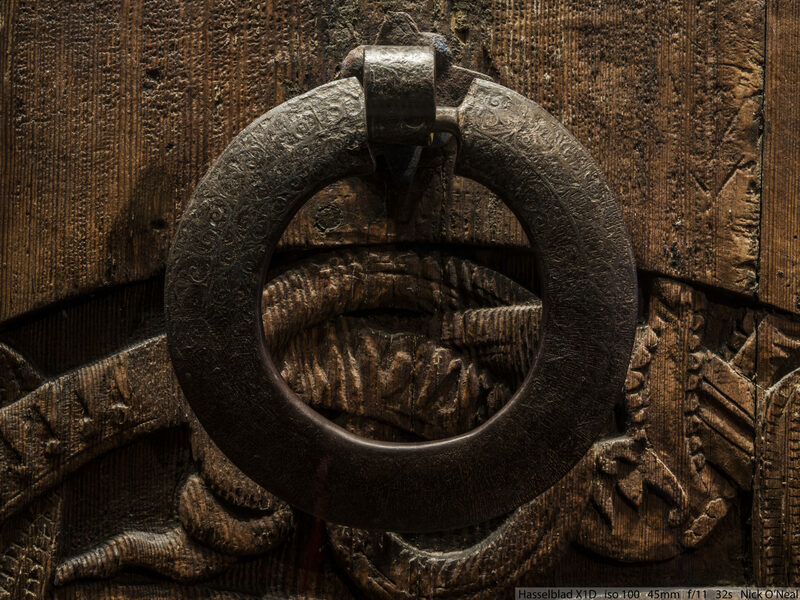 Below is a picture of my favorite artifact, an 800 year old wooden door with a metal handle. This used to be a door used on many churches back in the day. The photo was taken through glass at f/11 with a tripod and 32 second exposure. This National Museum of Iceland also contained a Christianity exhibit. 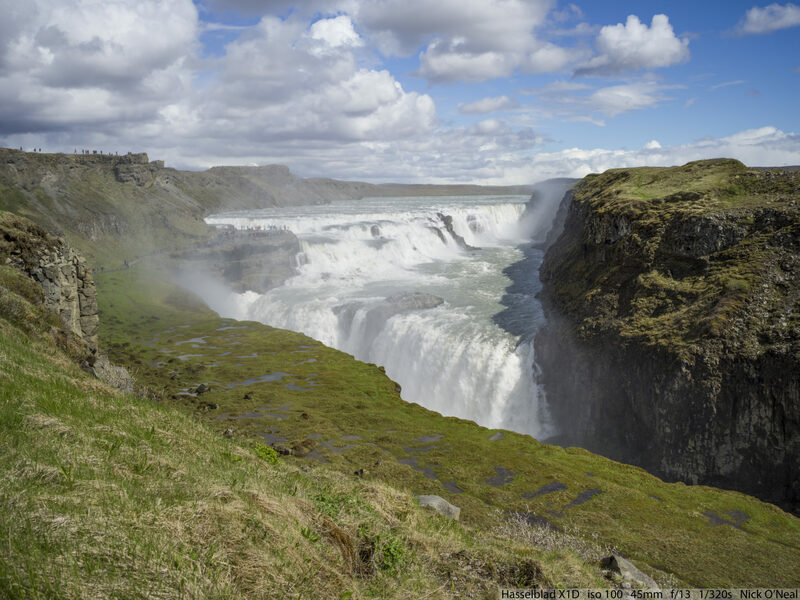 The introduction of Christianity in Iceland started in 1000 AD onwards. 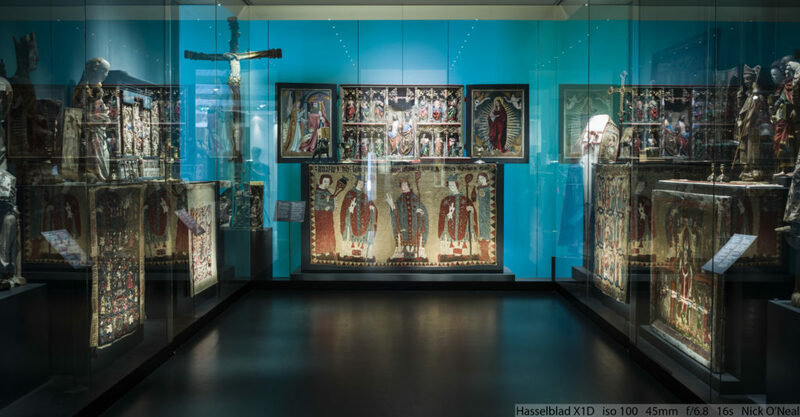 Because Christian priests would take such good care of robes and relics, only bringing some out for use during certain ceremonies, there are Christian fabric artifacts that are still intact. The image below is of some ancient combs made out of bone. I liked the textures of them. The Culture House is another wonderful museum in Iceland. Both the National Museum of Iceland and the Culture House are connected in ownership, so if you pay for one museum, you are given a free pass for the other. 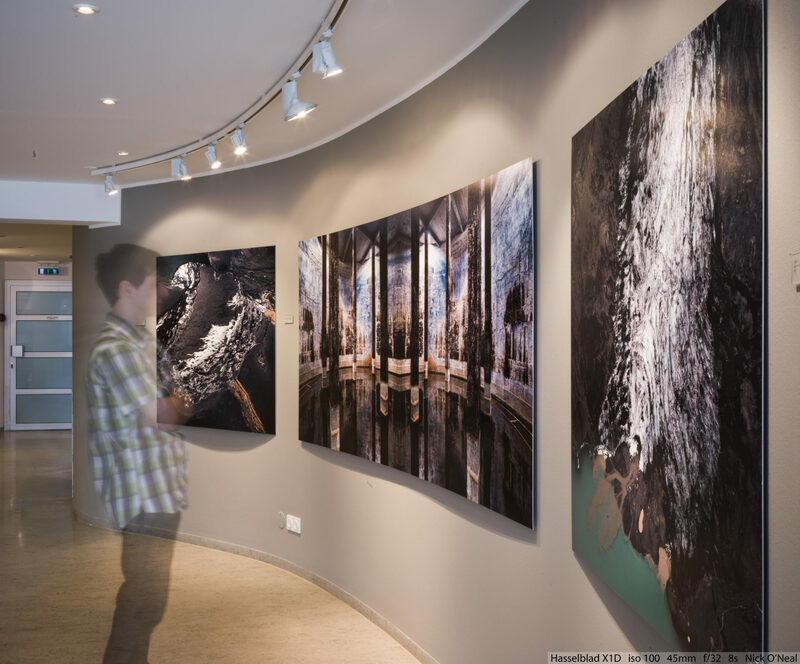 Unlike the National Museum of Iceland, which contains historical artifacts, the Culture House contains more recent day informational exibits such as an exibit on the extinction of the great Auk, and modern art exibits. Below is a work of modern art as an example. 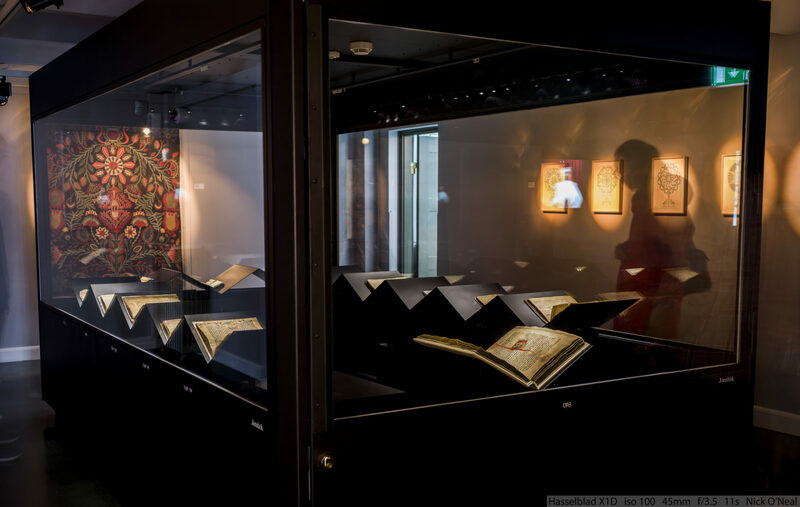 My favorite exhibit in the Culture House was the manuscript exhibit. 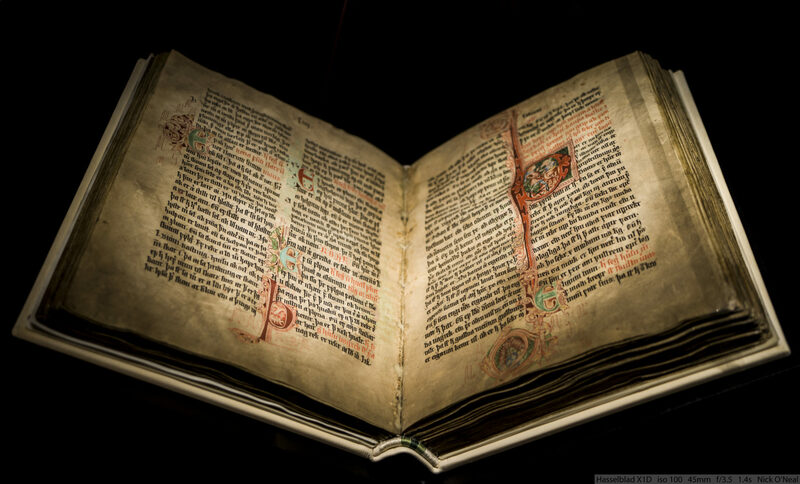 Our group walked into a very dimly lit room, with the centerpiece being a large glass container housing real manuscripts of the law of the lands from different time periods and in different forms.The manuscripts themselves were breathtaking. Each of the books is so detailed that one could stare at them for long periods of time, admiring their beauty. Below is a picture of my favorite of the books, which is dated back to 1363 AD. Another noteable museum is the Laxness Museum. This museum is located in the home of Halldor Laxness, a 1955 nobel prize winner in the are of literature. 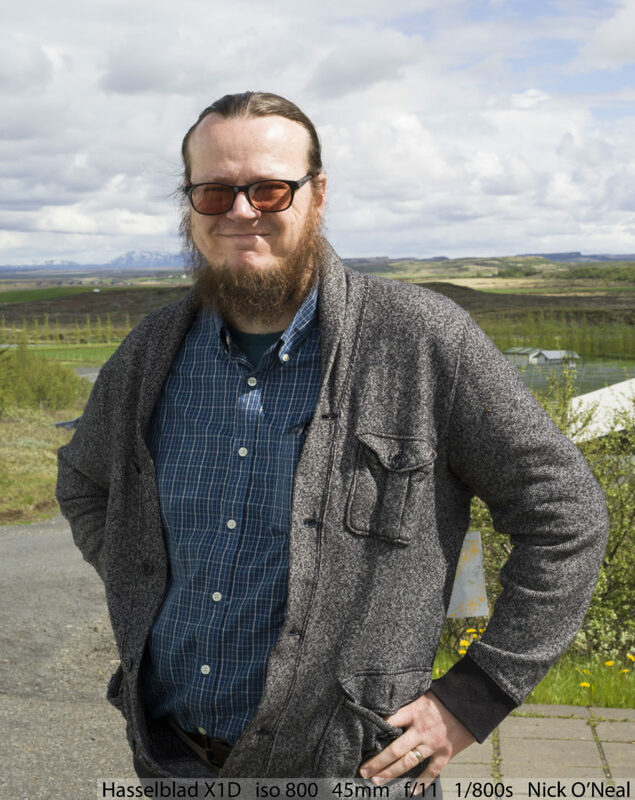 The museum itself sheds light into the daily lifestyle and tastes of this Icelandic hero. Unfortunately I do not have any pictures to show because photography was not allowed in the museum. There are three other museums which are all connected, but not by location. 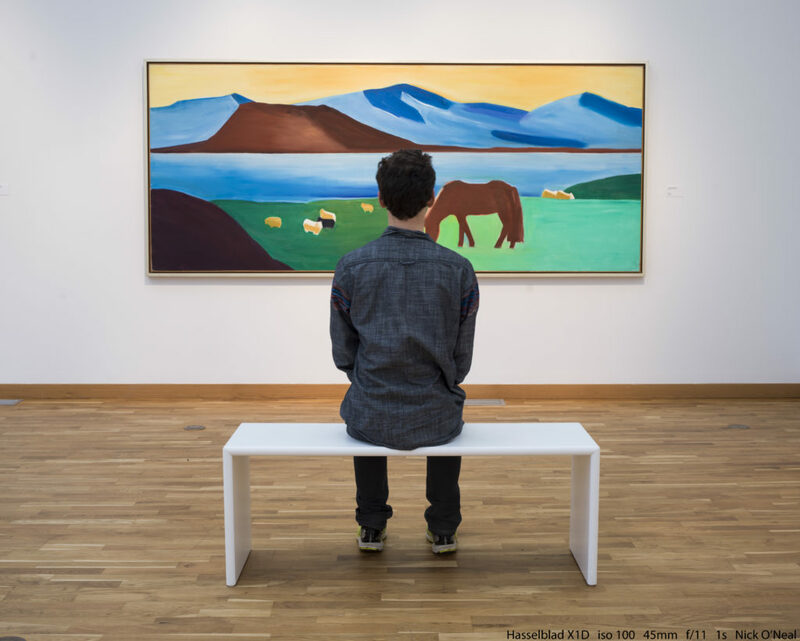 These three museums include Hafnarhús, the museum for contemporary art and culture, Kjarvalsstadtir, the art museum from past to present, and Asmundarsafn, an exhibition gallery and sculpture garden. Hafnarhus had very odd modern works of art housed within, of which I do not have pictures because photography was prohibited. Asmundarsafn is the only one of these museums our group did not visit. 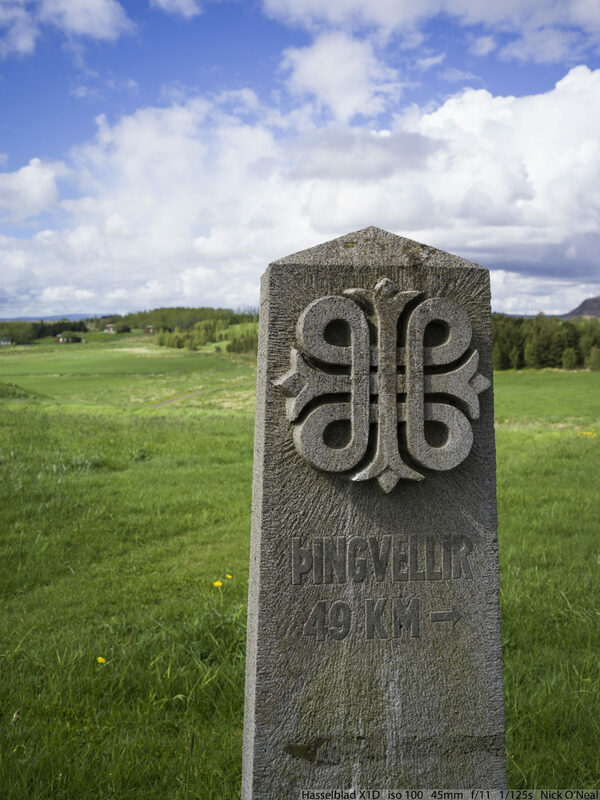 The last of these three museums, Kjarvalsstadtir, contained wonderful pieces of artwork. Below is a picture of me admiring some of the work in that museum. Yet another interesting museum we traveled to is the Settlement museum. If you are looking for lots of information about the early settlement period, this is the best museum to go to. 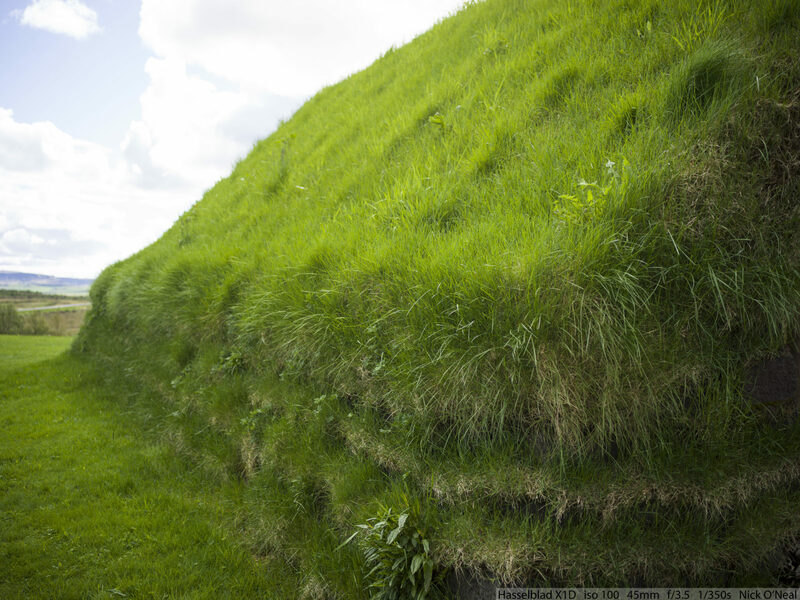 It contains extensive knowledge about the early settlers, and even a real excavated viking longhouse. The ruins of the excavated viking longhouse is seen below. One other museum I particularly enjoyed was the Photography Museum. It was not very large, but what little it did have was of high quality. 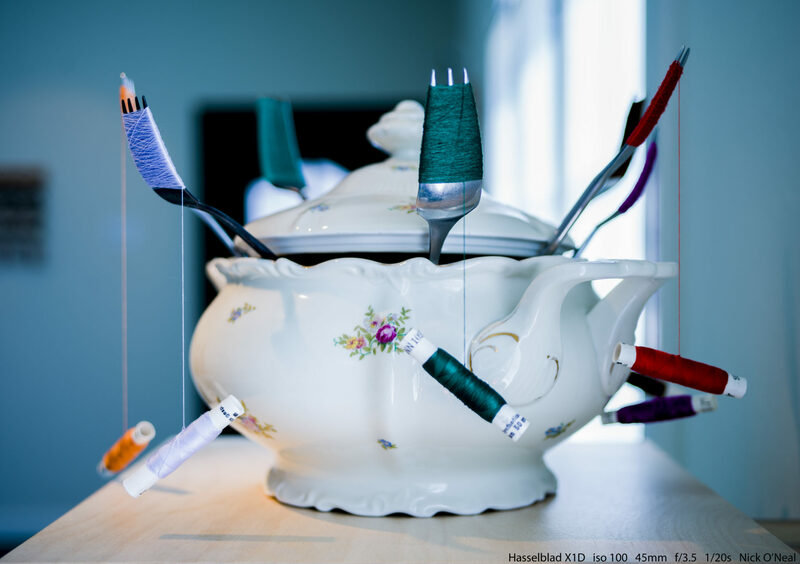 The current exhibit displayed there when we went was Sigurgeir Sigurjónsson’s Metamorphosis exhibit. Sigurgeir is by far my favorite Icelandic photographer, and his style is the same style I try and emulate; that of extreme texture, detail, and depth. Below is a long exposure image of me admiring his work in the metamorphosis exibit. Although there are many more museums around Iceland that are worth visiting, these are simply a few of my favorite museums around Reykjavik that I enjoyed the most. If you are planning a trip to Iceland, make sure to visit plenty of museums. Every single one is well worth it. Because of Iceland’s location between the North American and Eurasian tectonic plates there is a lot of geothermal energy below the surface. In fact just driving around you can see steam just rising up out of the mountains. 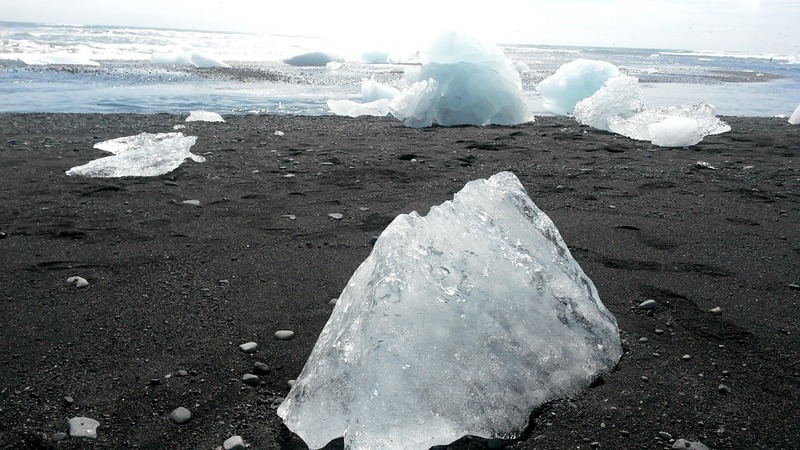 The Earth’s internal heat warms up the ground water which the Icelanders have learned to use in a variety of ways. The first geothermal related cite we visited was the Hellisheiði Power Station right outside of Reykjavik where we got a tour and saw the turbines and condensers. The power plant works by injecting water into boreholes which heats up underground. The injected water turns into a mixture of steam and hot water and then returns to the surface. The hot water is pumped to the city of Reykjavik where it is used for space heating. The steam is used to produce electricity by turning a turbine which turns a generator which creates electricity. 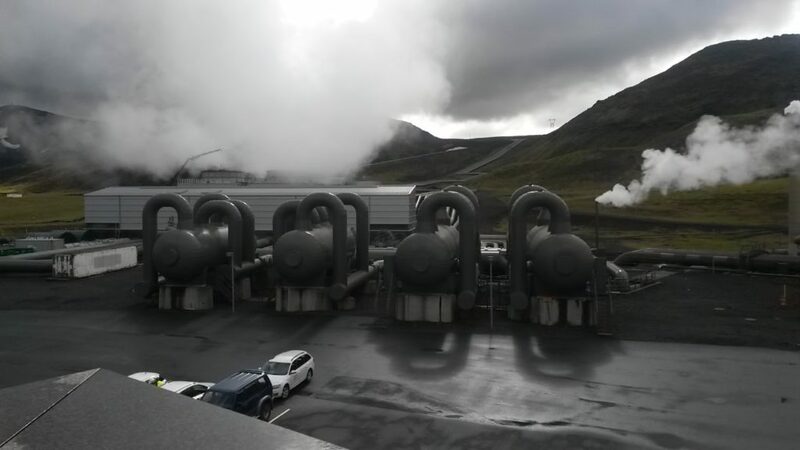 The plant there produces 300 MW of energy making it the largest geothermal plant in Iceland and the sixth largest in the world. This form of energy production and space heating is very environmental and releases no carbon dioxide into the atmosphere. The only major waste is hydrogen sulfide that gets into the steam when it is underground. Before the steam is released into the atmosphere 60% of the hydrogen sulfide is scrubbed out. Unlike other forms of renewable energy, like solar or wind, geothermal is limited which causes interesting challenges. For example, the Hellisheiði site uses 40 bore holes to create energy, and has a total of 58 drilled. But some of the 58 are either not working or being rested so that they can be used in the future. If too many holes are drilled then the pressure of the heated water will drop making it useless in creating energy. Therefore there has to be a lot of research done on the capacity of a location before a power plant is built. It was fun to see a state-of-the-art sustainable energy plant that Iceland take so much pride it. 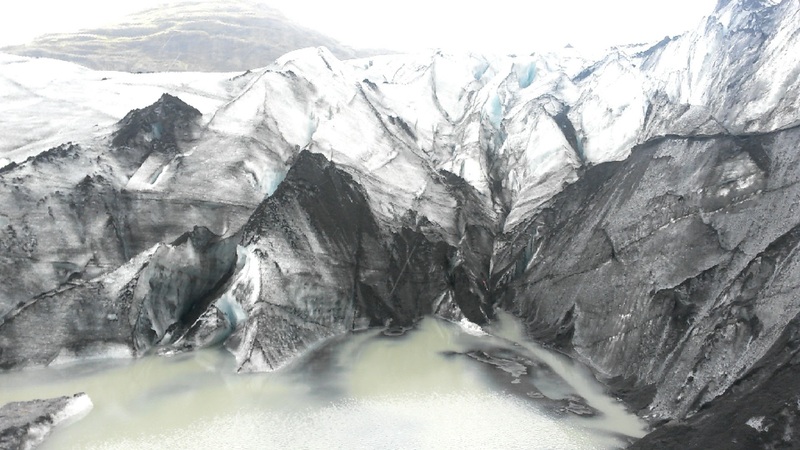 The country makes a big effort to use renewable energies like geothermal and hydroelectric. Not only do these options produce very little waste, they also create low energy costs. After the construction of the plant there is no need for expensive oil, coal, natural gas, or uranium. Using its natural geothermal energy Iceland is able to take a large burden of both the environment and its people by lowering emissions and costs. 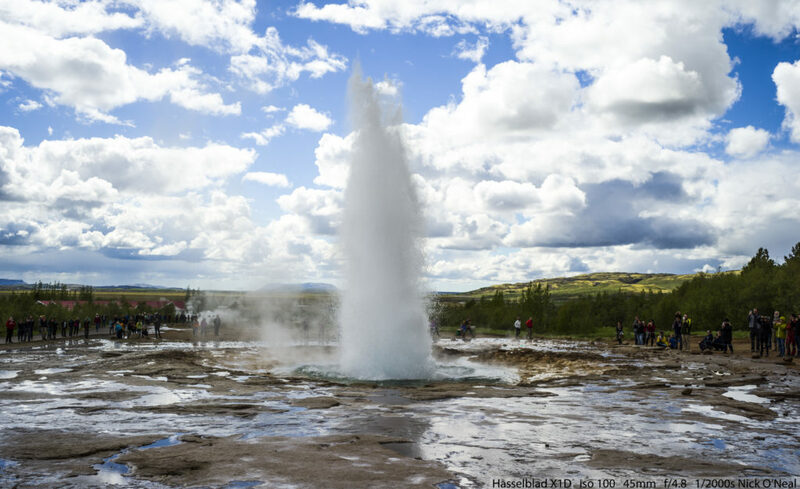 The next day we visited the Geysir Hot Springs along the Golden Circle road. The area included many pools of boiling mineral water that smelled like rotten eggs because of the sulfur in the ground. They create unique colors in the surrounding rocks because of all the minerals they deposit there. It was hard to tell how deep the pools were and our tour guide, Árdís, said that they change size all the time. The name-sake of the area though was the water geyser that would erupt every 4-7 minutes making it one of the most active in the world. As a comparison Old Faithful in Yellowstone National Park only goes off every 45 to 120 minutes, but erupts for longer. While we waited for it to go off it was funny to watch everyone wait with their camera phones out so that they did not miss the chance to take a photo. In fact the first time I went off I wanted to get a picture so bad I kind of missed actually watching it. So I had to stick around to see it again, this time without a phone. But I do get to add a picture to this blog. 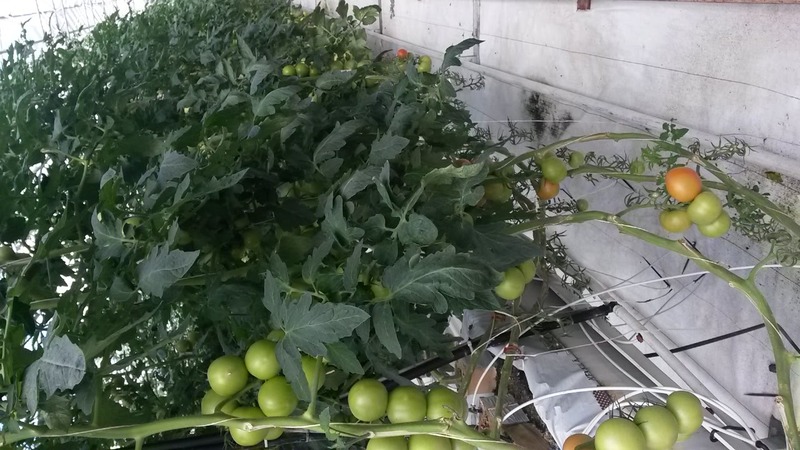 Next on the Golden Circle road we visited the Friðheimar greenhouses which grew tomatoes. I didn’t expect a country which is completely dark half of the year to grow many fruits, but they had large greenhouses completely filled with tomatoes. 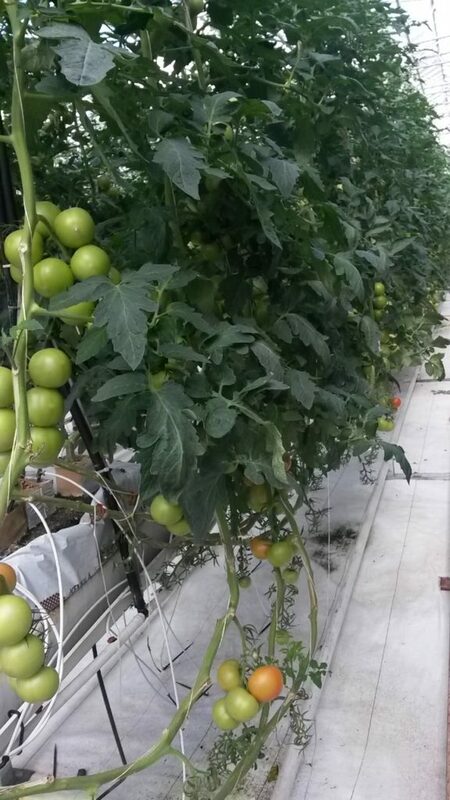 They used geothermal energy to keep the tomatoes warm and had lights all over to keep them fed. They had to import boxes full of bees to pollinate the plants because, unsurprisingly, bees cannot survive Icelandic winters. We got a short tour of the greenhouses and got to try some of their cherry tomatoes which were delicious. The last geothermal related spot we visited that day was Laugarvatn a natural bathing site on a lake with the same name. 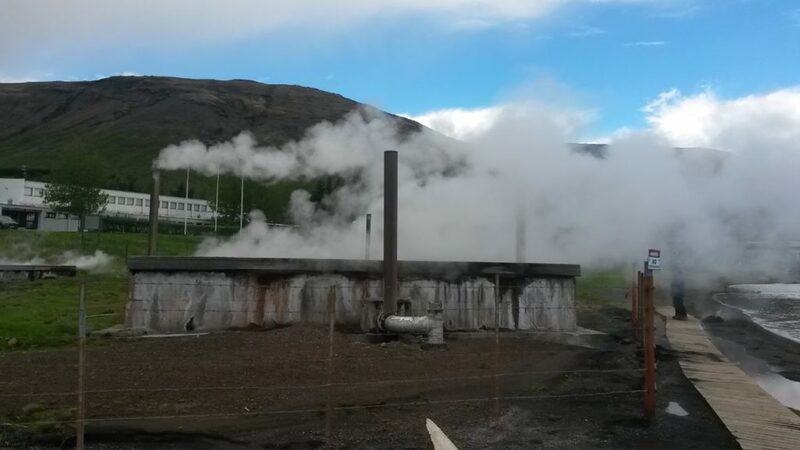 There was a considerable amount of steam coming out of the ground which smelled awful because of all the sulfur. 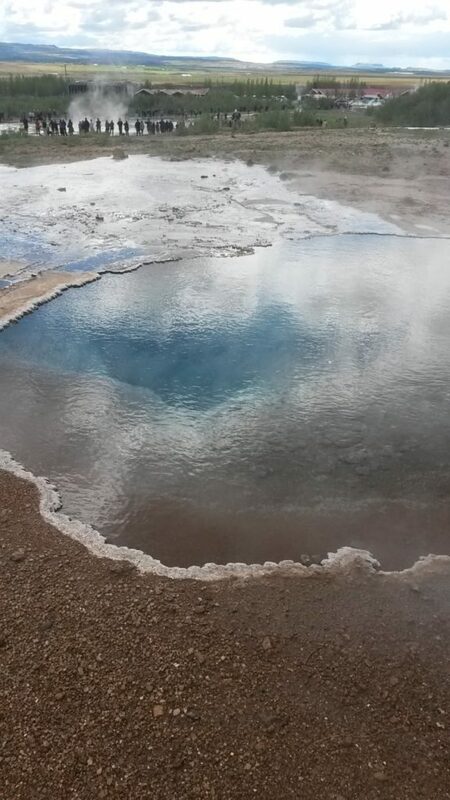 The lake water near the geothermal cite was warmer and in some places bubbling. Near the geothermal activity people were making Rúgbrauð which is a type of rye bread that is cooked in the ground. People will prepare the bread dough, dig a hole near the hot springs, bury the dough, and cover it with a mound. The bread we saw had a little sign too with the name of whoever was making the bread. After a day or so of baking you just dig up the bread which should be done. Sadly, I didn’t get to try any while we were there, but maybe that is a good thing because it is also known as thunder bread because it makes you fart a lot. While visiting Iceland it was neat to see how many different ways geothermal energy contributes to the country. I expected the geothermal plants, but I had no idea it was used for agriculture and cooking! 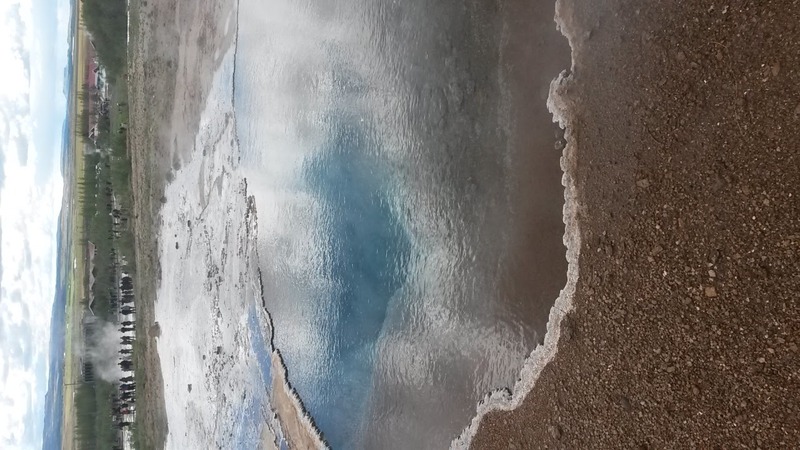 Plus, seeing the geysers and hot springs were a once in a life time experience I will never forget. 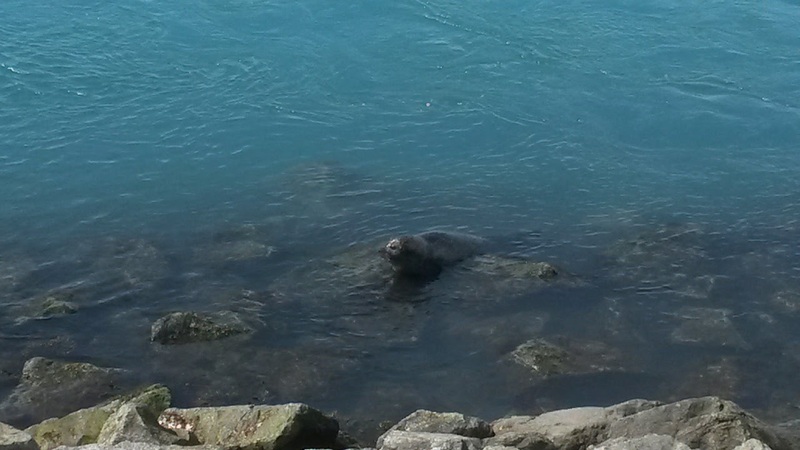 Every day in Iceland was a real treat. 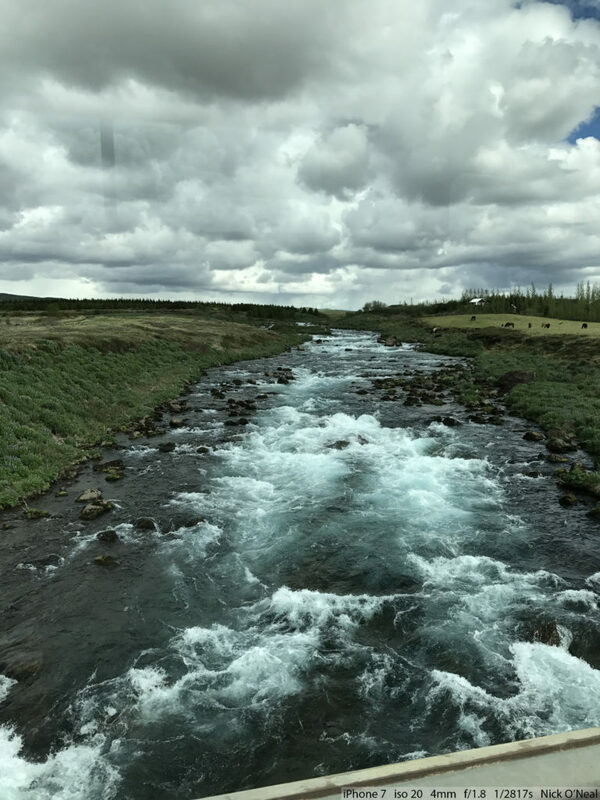 Today our group traveled the Golden Circle, which was spectacular, especially since it is the first day we traveled out into the country outside the main city. We started off at a geothermal power plant, where we got a tour of the facilities and an explanation of how geothermal power works in Iceland! 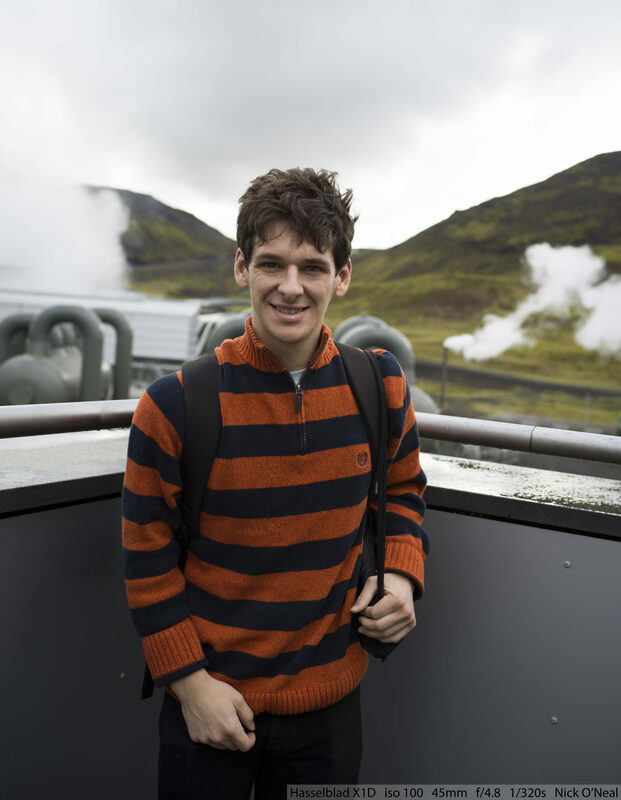 I was aware of geothermal energy before the visit, but I never really thought about it much, and I never knew quite how it worked. It was absolutely fascinating. After the geothermal power plant, we traveled to a church in Bláskógabyggdt. 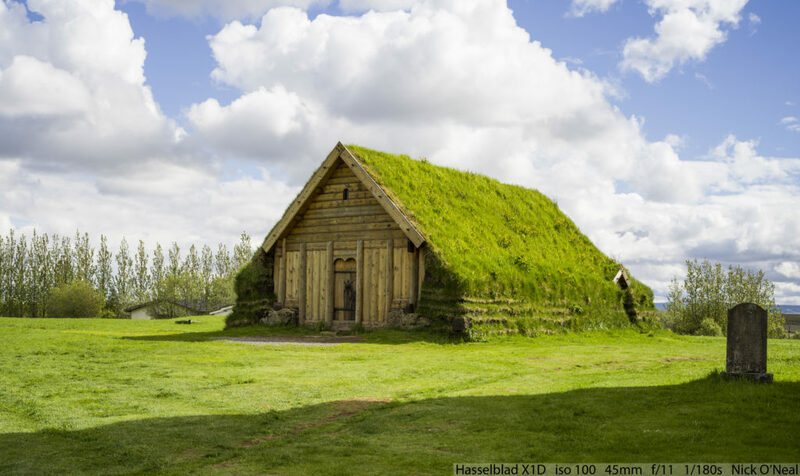 The church was nice, but I was particularly interested in the house beside the church, because it was entirely covered in turf and grass. 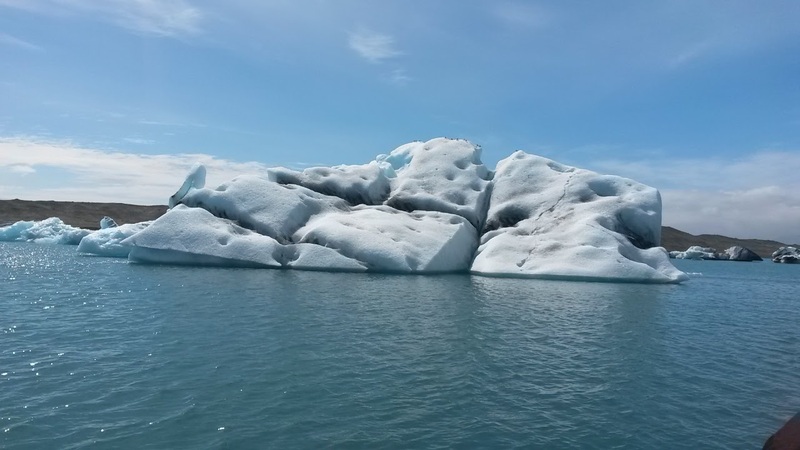 Apparently this is something that is fairly common, especially in Iceland’s past because it would protect people from the cold and the elements. It looks so green and plush! I don’t know why all the grass is so green here. As we leave at each place, I cannot help but take pictures of every little thing. This entire country is so gorgeous that you could look at a road sign and be intrigued. Our next stop was a quaint little waterfall at Bláskógabyggdt. The photo below was taken with my phone on the bus. Even if I would have had to sit in the bus the entire trip, I would not have cared because everything was so beautiful. No blog would be complete without a classy Eric Bryan. 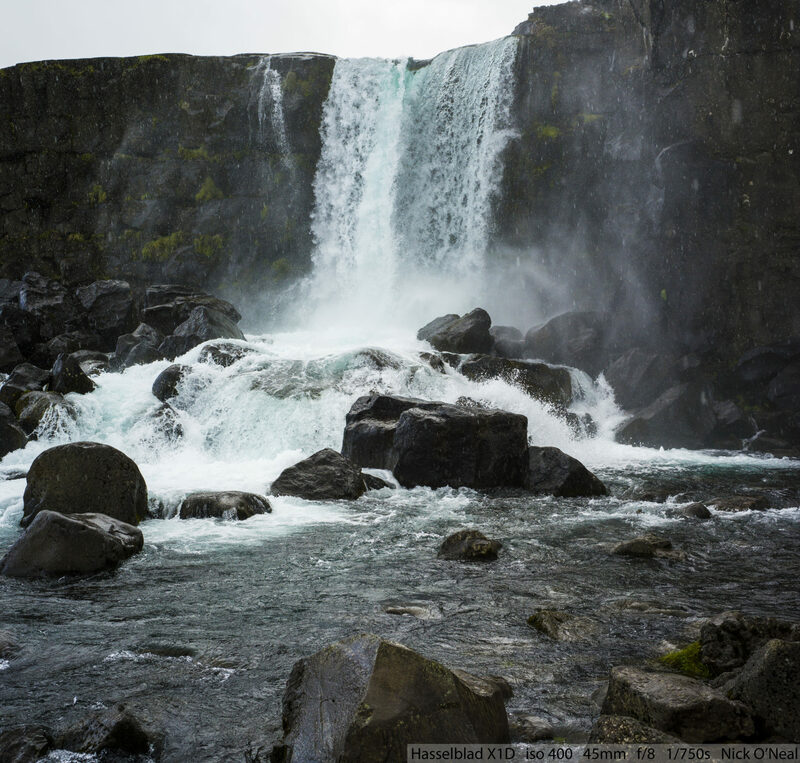 From there, we traveled to a gorgeous large waterfall on the Golden Circle path. At one point in time, businessmen wanted to use this waterfall for hydroelectric power, but that would have destroyed its natural beauty. Luckily, the hydroelectric dam was not built, and the waterfall is still here today. I also met someone who was also shooting medium format at this location. 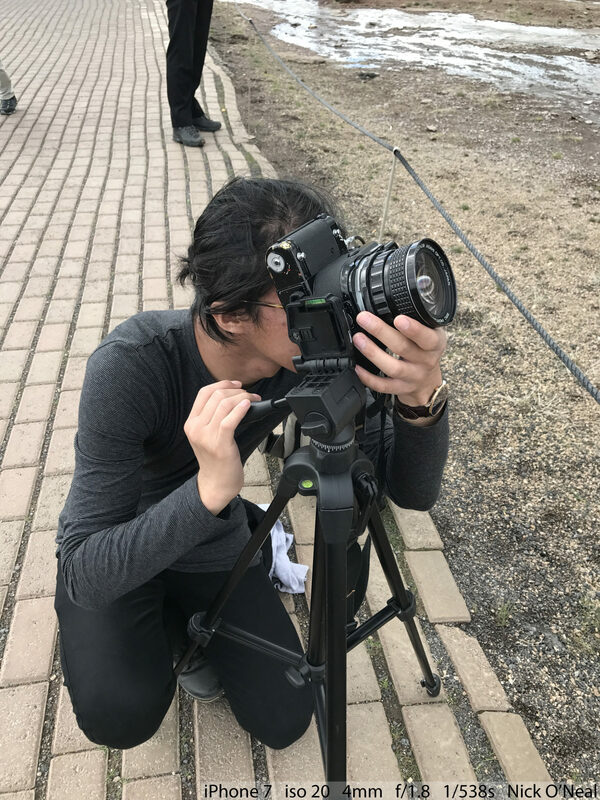 They were using the Pentax 645Z. I had never seen one up close before today. We left from there to see the geysir Strokkur. 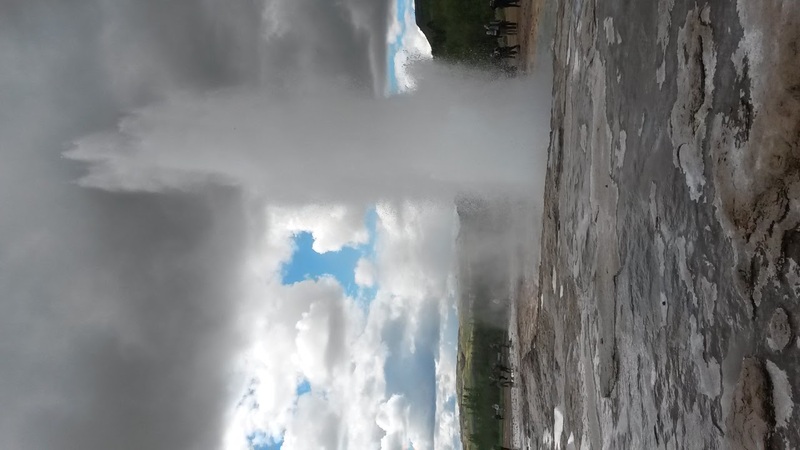 Little geysir was adorable, and Strokkur was large and unexpected. I sat there with my camera, listening to people repeat “ooooh I think its about to happen!……… oh no not yet…”. 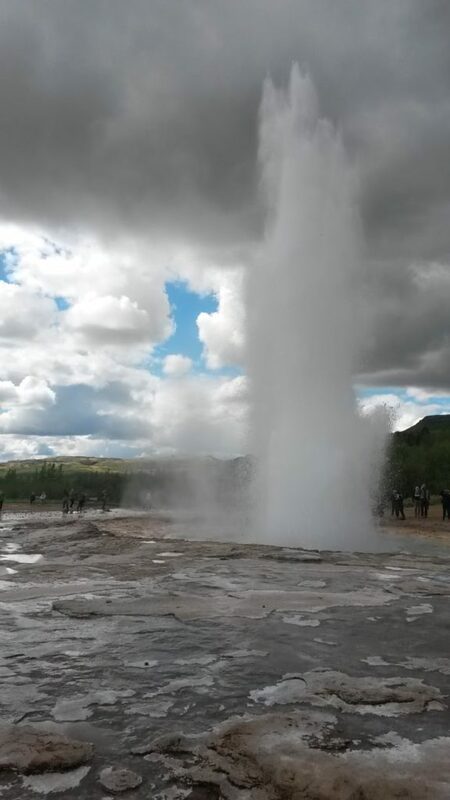 Eventually, the geysir sprang up and it caught me off guard and scared me. I ended up jumping a few inches, managing to snap a picture while I was in the air out of surprise. If I had not set my shutterspeed to 1/2000 s, the picture would have been blurry beyond belief. I also met someone who was also shooting Pentax medium format film at this location. This specific photographer I had actually met days ago at the pizza joint near Hlemmur Square. 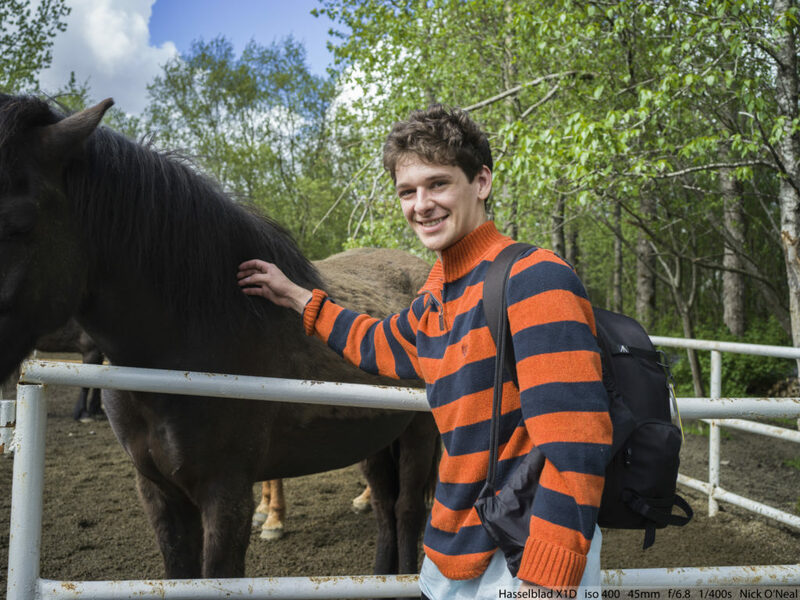 We had encountered each other a few times and enjoyed talking about photography. There are so many kind photographers to talk to and become friends with in Iceland. Moving on, our group traveled to a greenhouse where tomatoes are grown. My favorite part was seeing the Icelandic horses they have outside the greenhouse, but the actual greenhouse where the tomatoes are grown is very ingeniously set up. We even got to eat some sample tomatoes! After that, Ardis took us to some small geothermal locations around, including one at the edge of a pond. 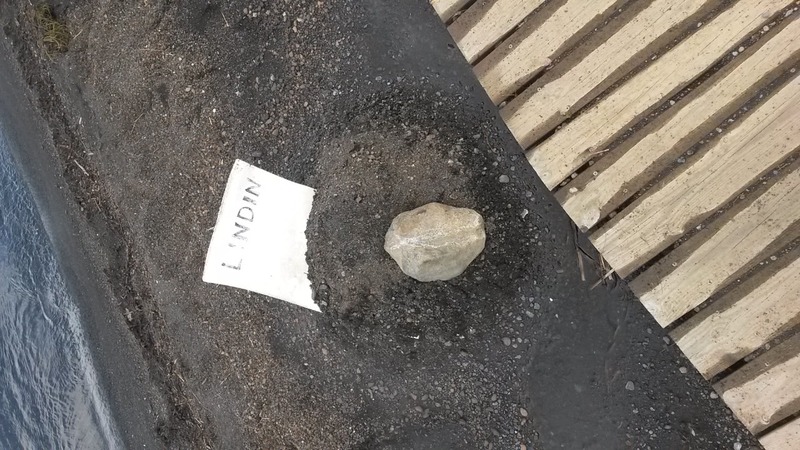 She explained to us how Icelanders would bake bread using these geothermal spots by picking out a location, making a small rock and soil structure around the bread above a geothermal spot, and leaving it there to bake. Our last stop for the day was Thingvellir National Park. This park was along a fault line, so the land was a little more shaken up here. It was raining when we arrived, but that would not stop us. 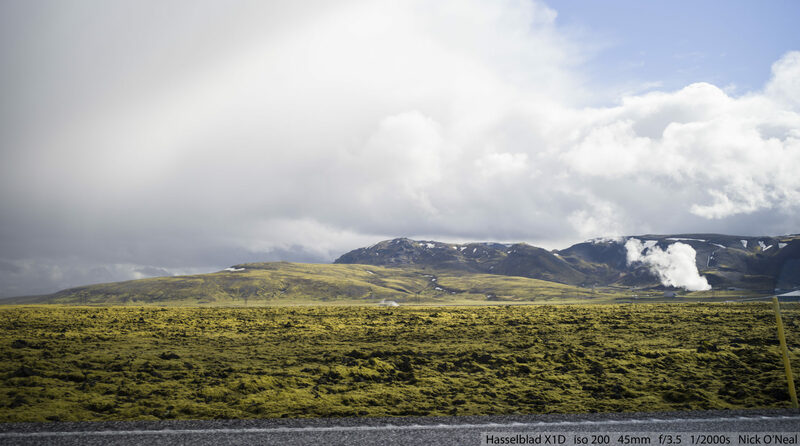 It rains for short periods of time almost every day in Iceland. Overall, the day was incredible. When we got back to Hlemmur Square, I went and got a delicious pizza. Vestmannaeyjar (Westman Island) is an island south of the mainland. It is a short ferry ride to get there. The Vestmannaeyjar Islands consist of many islands, all created from volcanoes, so what did we do? We took a 1.5 hour boat tour around the islands. 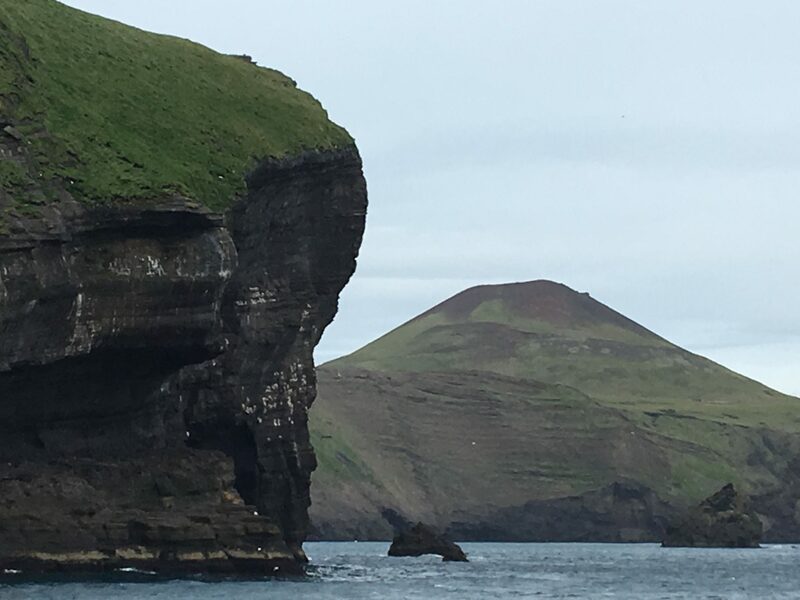 On the boat ride, we saw where the Barbary pirates landed and raided, multiple volcanoes, tons of puffins and the ever changing rock/islands. One of the giant rocks that came out was the largest puffin breeding colony in the world, estimated to have 4 million puffins. The rock formations where highly dynamic, the tour guide was able to point out everything that has changed year to year. We even got to go in the caves with the boat and at the end, the tour guide pulled a saxophone out of nowhere and started played in a cave. What an odd but cool experience. There was also a golf course of all things on the volcanic island. 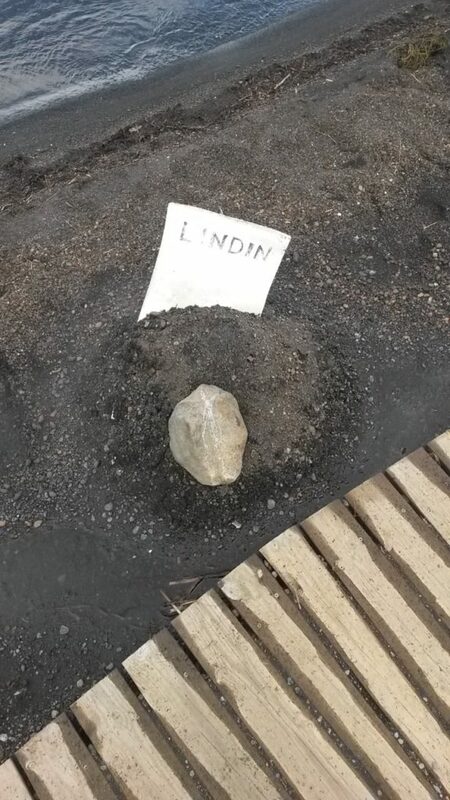 Every year, the people living on the island have a huge festival that 250,000 people go to (Iceland’s population is only 350,000), but sadly we missed it by a couple days. I ate spaghetti, the cheapest food you can get in Iceland so I could do something super cool on my last few days in Iceland. 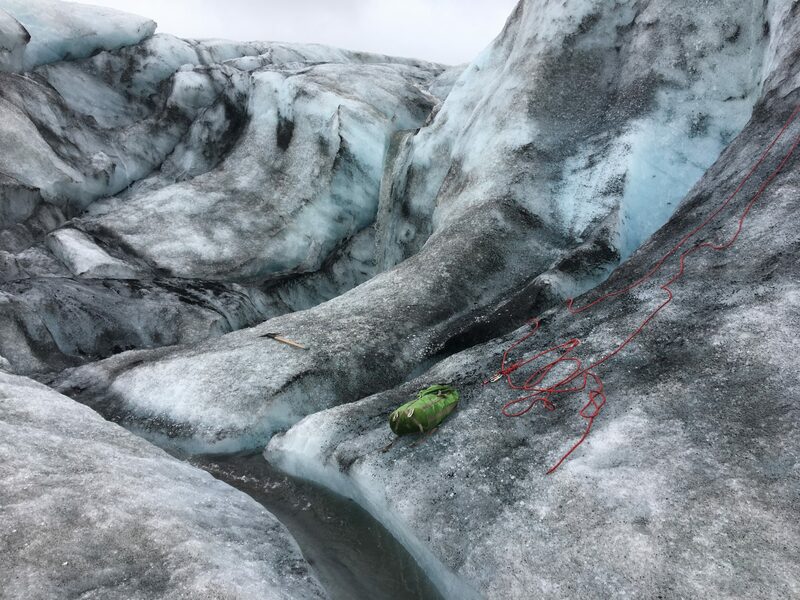 For my last full day, I ended my trip with a glacier climb of Sólheimajökull with about an hour of ice climbing with crampons and ice axes. This was the highlight of the trip. We obtained full ice climbing gear from our guides which were amazing. One was from England, the other was from Sweden and looked like twin vikings and acted like the Weasley twins from Harry Potter. They were hilarious and very knowledge about glaciers. I can now mark glacier and ice climbing off of my bucket list. The glacier it self was a bit odd. Being in Iceland, land of the volcano, most of the glacier was preserved in volcanic ash giving cool contours and random little piles of ash from holes in the ice that have long melted away.